The way patients feel about their treatment has grown increasingly important to HCOs — and their payers — in the evolution from volume to value. Many have created leadership positions dedicated to it. “Patient experience” is one of the buzziest catchphrases in health care today. Along with safety, quality and value, physician leaders are finding it matters more than they thought. “Good patient experience reflects their trust in the care we provide,” says Thomas Savides, MD, a gastroenterologist who was named the first chief experience officer, or CXO, at the University of California San Diego Health in December 2014. In that vein, a chief experience officer keeps patients “top of mind in decision-making,” Savides says, not only at leadership meetings with administrators and physicians, but also in observational walks through hospitals and clinics. Develop and articulate an organizational patient experience strategy. Work with senior executives to build support for improving patient experience. Educate all employees in the philosophy and techniques of improving patient experience. Collaborate with all business units to operationalize patient experience strategy. Provide expertise and resources to improve performance. Set objectives and benchmark performance. Identify and help departments struggling with patient experience. More of these C-suite positions have emerged nationally as patient experience has become the cornerstone of optimal health care delivery and the reputation driver for facilities and providers; the average salary for a CXO exceeds $220,000, according to research by Experience Innovation Network. Consumers perceive patient experience to be paramount. Of utmost significance is how strongly people feel connected to their health care team, according to The Beryl Institute of Southlake, Texas, a global organization that aims to enhance patient experience across the continuum of care. Patients consider how well the team listened, communicated in a way they could understand, and treated them with dignity and respect. Recommendations and referrals take precedence in guiding their choices, the Institute revealed in its study, “Consumer Perspectives on Patient Experience 2018,” which surveyed 2,000 respondents from five countries — the United States, Canada, the United Kingdom, Australia and the Philippines. 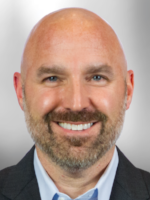 “Consumers told us that their health care decision-making is going to be driven by the stories they’re told by other people,” says Jason A. Wolf, PhD, CPXP, Beryl’s president and founding editor of the Patient Experience Journal. 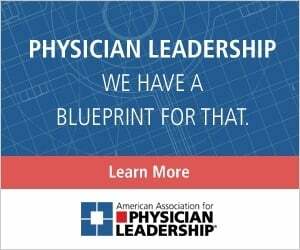 (The American Association for Physician Leadership partnered with Beryl in 2017 for a special report on the role of communication in the patient-physician relationship. Patient experience came to the forefront with the implementation of value-based payments by the Centers for Medicare & Medicaid Services. 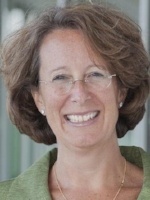 CMS tied reimbursement to outcomes as well as patient experience, says Liz Boehm, research director at the Experience Innovation Network, which fosters partnerships with physician leaders, nurses and C-suite executives. The international network was co-founded by Bridget Duffy, MD, the first CXO in health care, establishing that role at the Cleveland Clinic. Most CXOs divide their time between contemplating theory, assembling strategies, building teams, evaluating data and responding to complaints and grievances. 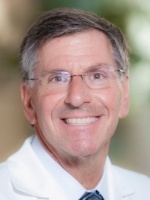 Increasingly, they’re heading to the front lines in attempts to understand the barriers and pressures that stand in the way of providers striving “to give patients a great experience.” CXOs are aware that these clinicians have heavy workloads and try to lighten them while expanding resources to serve patients and families more effectively, Boehm says. CXOs ideally report to the chief executive officer, she observes, but sometimes to the chief operating officer, chief medical officer, chief nursing officer, or even the chief marketing officer. “It is a lot about wielding influence with other leaders in order to create alignment and efficiency,” she says. The consummate candidate does not necessarily have to be a physician, experts say. But he or she ideally should partner with one for the purpose of gaining credibility and fostering collaboration with physician colleagues. Hire and retain exceptional staff. Look at hiring prospects through a patient experience lens. If you hire someone who is not capable of providing a good experience, it can be hard to get rid of that employee. Create clear expectations for exceptional service. In areas covered by surveys, goals may be quite clear. In others, concrete performance measures should be developed and tracked. Provide access to materials to help staff understand the science and tools of creating exceptional experience. These may include in-house facilitators and consultants as well as books and online resources from such sources as authors B. Joseph Pine and James H. Gilmore. Recognize and benchmark successful departments. It will encourage continued excellence and enable others to benefit from in-house expertise. Coach and provide resources to struggling departments. Use people familiar with experience improvement science. Lay out the issues honestly and make a correction plan. Hold workshops and reward performance gains. Gather customer insights through multiple channels. Use focus groups, community advisory groups and monitor complaints made directly to the organization or indirectly through social media or reviews. Commit to never walking past an unsafe situation or unsatisfactory patient service. Apply your own experience to judge if what you're seeing qualifies as excellent treatment, and speak up if it doesn't. Review policies and procedures to ensure they are patient-friendly. For example, one hospital began closing its cashier window early on weekends to save money, and missed a patient looking to settle a $17,000 account in cash. Learn from industries outside health care. Many are far ahead in customer service. • Did you feel listened to? • Guided in making decisions? • Overall, on a scale of 1 to 10, how would you rate your experience? • And how likely are you to recommend this facility, hospital or provider? Past surveys have shown that “we were really respectful but didn’t always communicate in ways to families that they could understand,” Drolet says. Effective solutions, presented to providers at an optional skills-building event, have included eliminating medical jargon and relaying information at a slower pace and in smaller increments. “On average, patients will remember three things, so don’t tell them 10,” she says. Suggestions for improvement come from directly observing physicians’ and nurses’ interactions with patients and families. Providers should introduce themselves, acknowledge everyone in the room, answer all their questions and give follow-up instructions. Using teach-back methodology, providers can ask patients to restate what they heard, says Chaun Cox, MD, regional patient experience medical director at Mayo Clinic Health System in Mankato, Minnesota. For Shannon Phillips, MD, MPH, practicing as a pediatric hospitalist at Primary Children’s Hospital in Salt Lake City, Utah, helps her remain in close contact with other physicians, caregivers and patients. 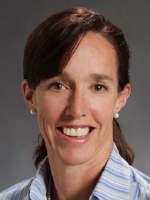 As the CXO for the umbrella organization, Intermountain Healthcare, a Salt Lake City-based health system serving Utah and southern Idaho, she handles matters concerning not only safety, quality and experience of care, but also risk management, patient advocacy, documentation improvement and infection prevention. 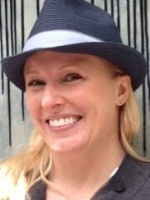 Has your organization created the position of chief experience officer? How is it working for you and your organization? What have been some of the benefits? What, if anything, has been a distraction? Share your CXO experience with fellow physician leaders. 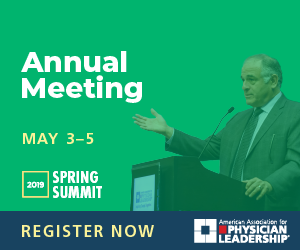 Email us at journal@physicianleaders.org, and we might publish it in an upcoming issue. Many physicians assume that providing evidence-based care results in positive reviews from patients. They’re confused when the feedback is negative. But in the realm of patient experience, simply prescribing the appropriate medication or giving sound advice for chronic disease management falls short of consumers’ expectations, Phillips says.